Potatoes – one of the nation’s favourite staples – are in the spotlight at this time of year, thanks to the plethora of Potato Day (February 9) events, when spud lovers get a chance to quiz expert growers on the best varieties, growing methods and tastiest cooking results. And while starting off seed potatoes by ‘chitting’ them – to encourage shoots to appear before they go into the ground – seems like child’s play for many, keeping them going may prove hard for some when diseases and pests attack. So, what are the main enemies of the potato, and how can we deal with them? 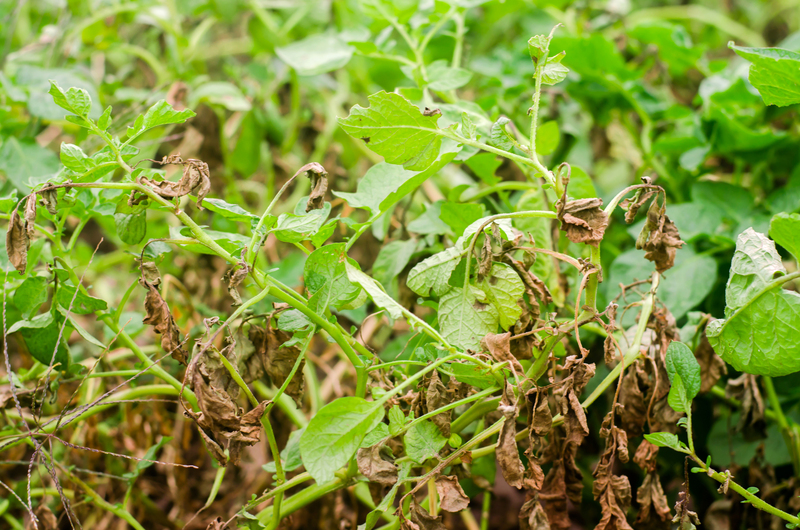 This is among the most common and devastating diseases affecting potatoes, which can kill them virtually overnight. The disease starts with brown patches on the leaves from June, especially in warm, damp weather, then the stems turn brown or black and collapse, and the tubers will rot. What you can do… Once the disease has taken hold, there’s not a lot you can do unfortunately. 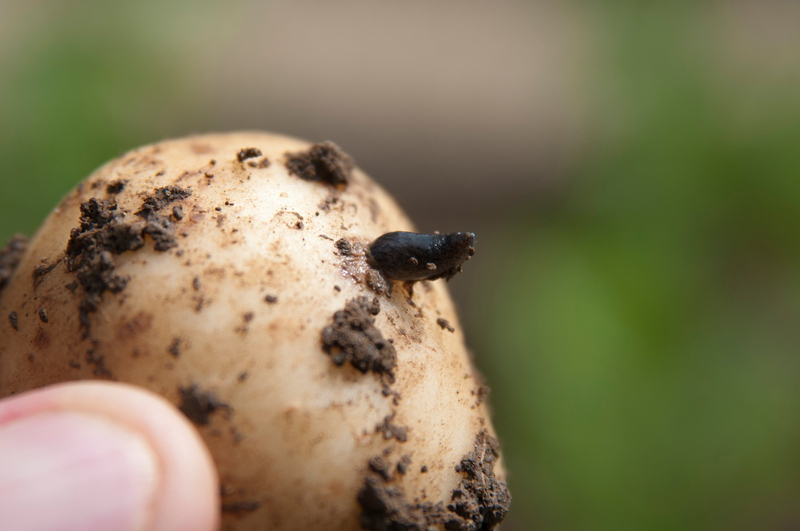 You may be able to save crops later on in the season by removing all the top growth as soon as the blight is spotted, but check your tubers when you store them, as affected potatoes won’t store. Don’t leave blighted tubers in the ground either. They will all need digging up, otherwise the spores will likely spread again, affecting subsequent crops. How you can prevent it… Earthing up may help protect tubers, along with practising crop rotation – don’t grow potatoes on the same piece of land more than once every four years. Try growing early potatoes, which are usually ready for harvesting before blight invades. And go for blight-resistant types like the ‘Sarpo’ range. These minuscule worm-like critters, which are nematodes, attack the roots of potatoes and cause the crop to fail. The first sign, which happens in mid to late summer, is when plants that are close together start dying from the base upwards. Reddish brown cysts the size of a pinhead can be seen on the roots, and the leaves will start yellowing. The early death of the plants results in a poor crop of small tubers. What you can do… Not a lot, once it has taken hold. Your best bet is to destroy the affected crop and don’t grow potatoes there for at least six years, as the cyst eelworms remain alive but dormant in the soil for a long time. How you can prevent it… Use crop rotation methods to stop a build-up of cyst eelworm. The small black keeled slugs, which live underground, make holes in potatoes which are usually black, leaving the tubers inedible. What you can do… Use beer traps around plants or apply slug-killing nematodes to the soil, which should help deter them. How you can prevent it… Plant early varieties, which may be less affected, and lift maincrops early to minimise damage. The RHS recommends using slug-resistant varieties including ‘Charlotte’, ‘Estima’, ‘Golden Wonder’, ‘Kestrel’, ‘Pentland Dell’, ‘Pentland Ivory’, ‘Pentland Squire’, ‘Stemster’, ‘Sante’ and ‘Wilja’. Potato Day events nationwide run through to March, organised by garden clubs and societies.